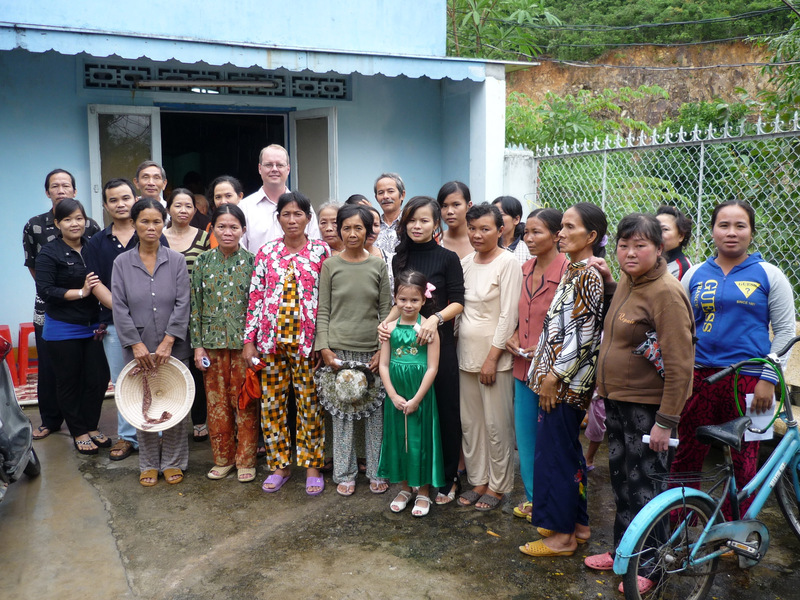 On November 7, 2010 we gathered at the Lam Ty Ni Pagoda in the Hon Ro neighborhood of Phuoc Dong ward, south of Nha Trang, to assist families that had fallen victim to recent flooding. The record setting rainfall from the previous two weeks had devastated many poor communities in Khanh Hoa province, and the small cluster of homesteads resting on the hillside behind the Lam Ty Ni Pagoda had seen significant destruction. Entire homes were irreparably damaged, and the greatest tragedy occurred when one family from this tiny community lost their child to the surging flood waters. When we told longtime donors Jeff and Khanh Boisson, they immediately pledged 15 million VND to this neighborhood. 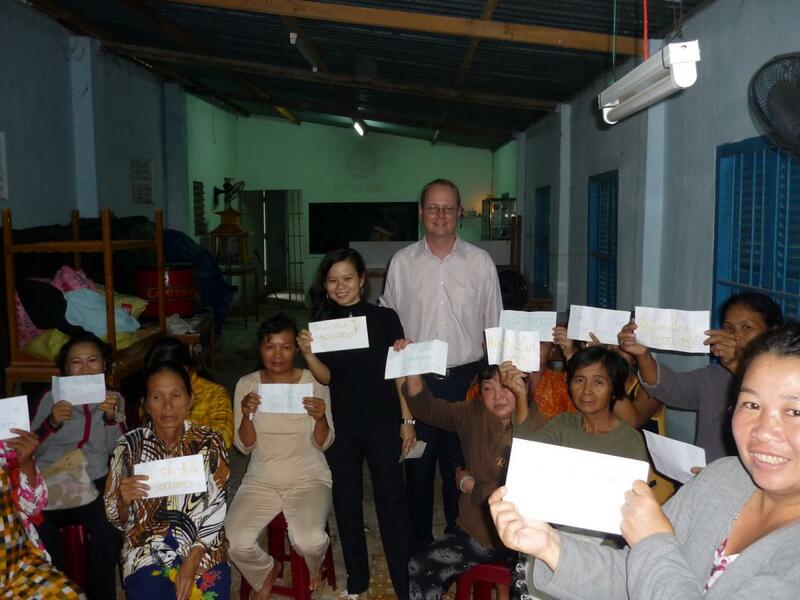 We contacted friends and family, and received an additional 6 million VND in aid. Among the donors were Dr. Jason Stanly, principal of APC international school in Diamond Bay, and friends and family of Khanh Sims, Quang Ha Hong Ngoc, and Phan Thi Ngoc Loan. 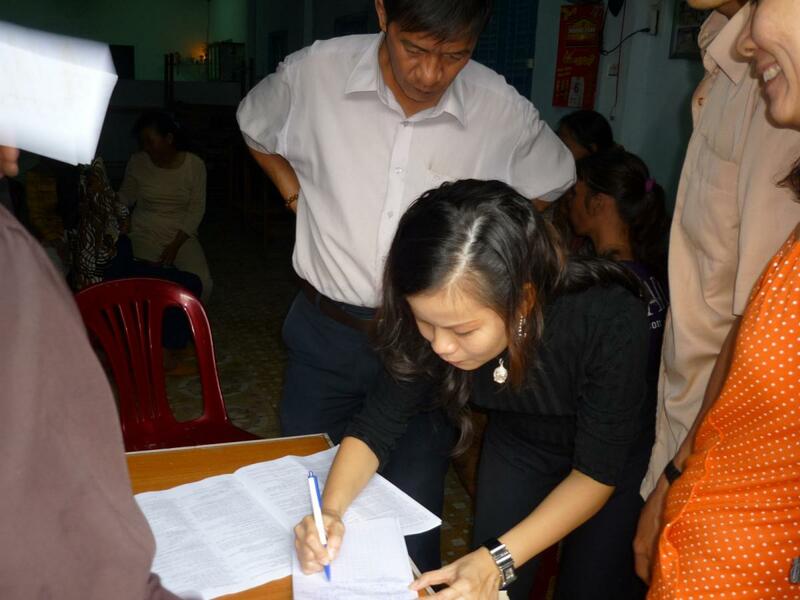 The People’s Committee of Phuoc Dong ward and the caretakers of the pagoda were very helpful in making a list of families that were hardest hit by the flooding. At the small ceremony, there was a large group in attendance, including the Chairman and Deputy Chairman of Phuoc Dong. While the occasion was somber, the families were very thankful to be the recipients of kindness, and we thank all of the donors for making this occasion possible.